Italian oil and gas giant Eni has found more oil in offshore Angola after a drilling campaign completed last week. The Agogo discovery is believed to hold 450-650 million barrels of light oil in place with further upside, ENI said in a statement. 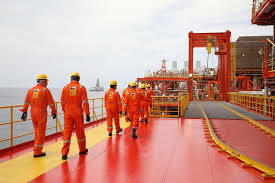 According to the oil giant, the prospect in Angola’s deep waters has the potential to improve the country’s position within the industry, with data from the exploration well pointing to a production capacity of more than 20,000 barrels of oil per day. The mapping and the drilling of Agogo prospect has been possible through the use of Eni’s advanced and sophisticated proprietary seismic imaging technologies, it said. Agogo marks the third discovery of commercial nature since the launch of a new exploration program in 2018. Kalimba and Afoxé are the other two discoveries. Angola is the second-largest oil producing country in sub-Saharan Africa and an OPEC member with output of approximately 1.55 million barrels of oil per day (bpd) and an estimated 17,904.5 million cubic feet of natural gas production. Earlier this year, the government announced a full revamp of the country’s legal framework for the oil and gas industry, which includes the landmark decision of striping Sonangol from its role as oil blocks concessionaire. Posted by Emmanuel Agbenonwossi on March 18, 2019. Filed under News, Zoom. You can follow any responses to this entry through the RSS 2.0. Both comments and pings are currently closed.